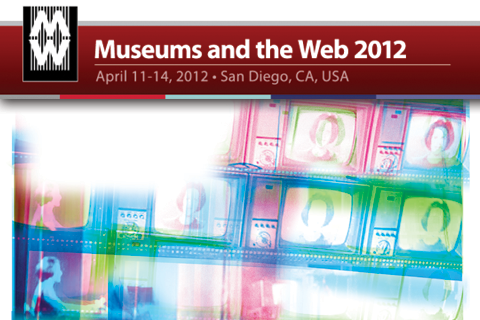 The Museums and the Web conference is taking place this week – starting tomorrow, April 11th and continuing until the 14th. The conference constitutes a buzzing intersection between museum curators, analysts, strategists and interested folk willing to bring musems (and related instituations such as libraries and archives – the so-called GLAM-community) fully into the digital world. To do so, nascent trends have to be followed up on and discussed, but more importantly, recent and real-world initiatives are reviewed and discussed in a wide array of talks, workshop and debating sessions. Members of the community vote for the People’s Choice award in the annual Best of the Web series, which EUscreen’s predecessor Video Active proudly took home in 2009. EUscreen is present in a variety of sessions this year, to reflect on television heritage and its place online, on the intersection between webvideo, exhibition content, popular culture and open access. Johan Oomen, technical director of the project, will give a demonstration of the available tools, benefiets and realisations of the project. Furthermore, the special session Linking Europe’s Television Heritage will discuss EUscreen’s Linked Open Data pilot – a topic that is also reflected on in the session Sharing cultural heritage the linked open data way – everyone’s invited. Last, but not least, EUscreen is one of the contenders for the Best of the Web Awards, so although competition is fierce and there are strong, innovative contenders out there, we do hope to win the hearts and minds of the museum world this year.